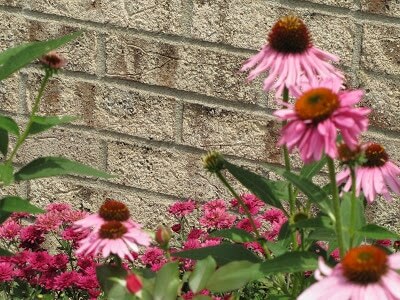 My Purple Coneflowers are in full bloom. Now their name is Doubledecker Coneflower (Echinacea Purpurea Doubledecker) which would lead you to believe they are maybe, I don’t know, maybe doubledeckered, but the first year they were single flowers, the second year they had a cute little coneflower on top of the main coneflower and then ever since then it has been back to just one coneflower like your run of the mill coneflowers. In the background is a chrysanthemum that is not doubledeckered either (lol). I know you’re supposed to keep them from flowering now so that they bloom better in the fall, but I just can’t ever remember to nip them back in the late spring. Looks like we have a visitor. A little Monarch Butterfly stopping by to see what’s happening on the flowers. 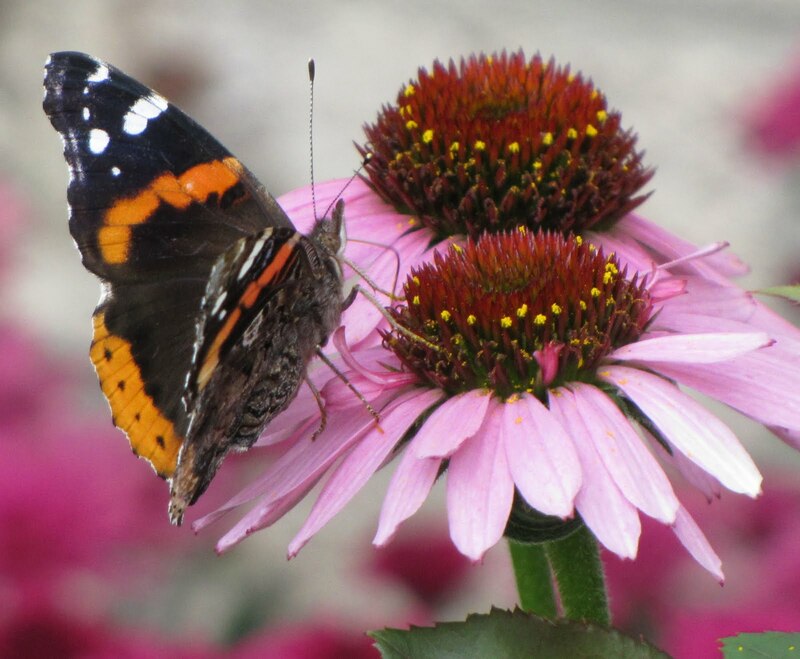 Come back soon Mr. Butterfly! My Astilbe is in bloom also. 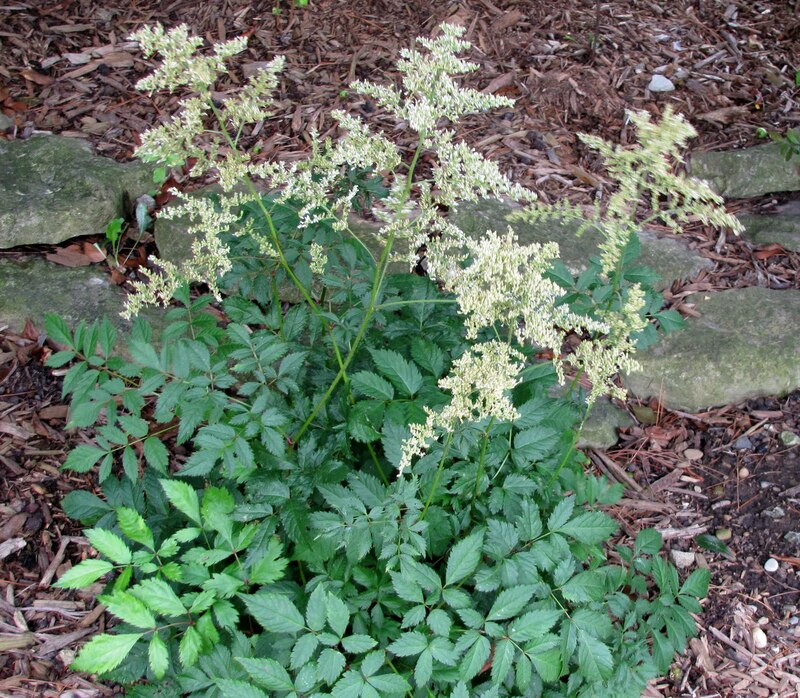 It is a Bridal Veil Astilbe (Arends’ Astilbe). 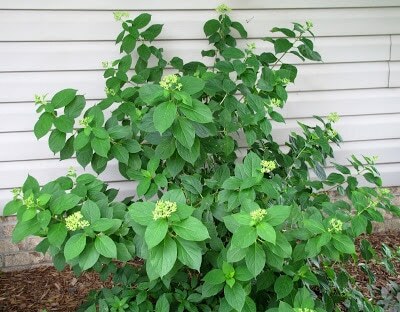 This plant is probably five years old and is just now getting to a substantial size. I have a few other Astilbes in my yard and they all pretty much grow very slowly. On the other hand my Purple Palace Coral Bells (Heuchera Micrantha Purple Palace) has grown very quickly. 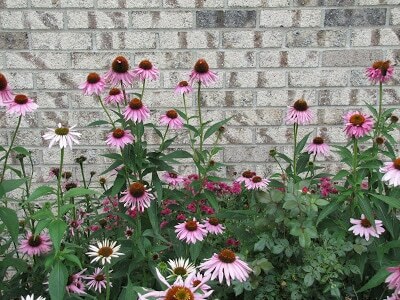 This was just planted last year and has grown at least 5 times it’s original size. 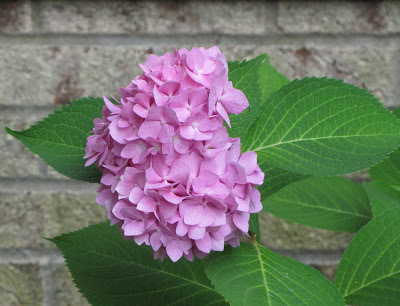 My Endless Summer Hydrangea (Hydrangea Macrophylla Bailmer) has been blooming for three weeks now. 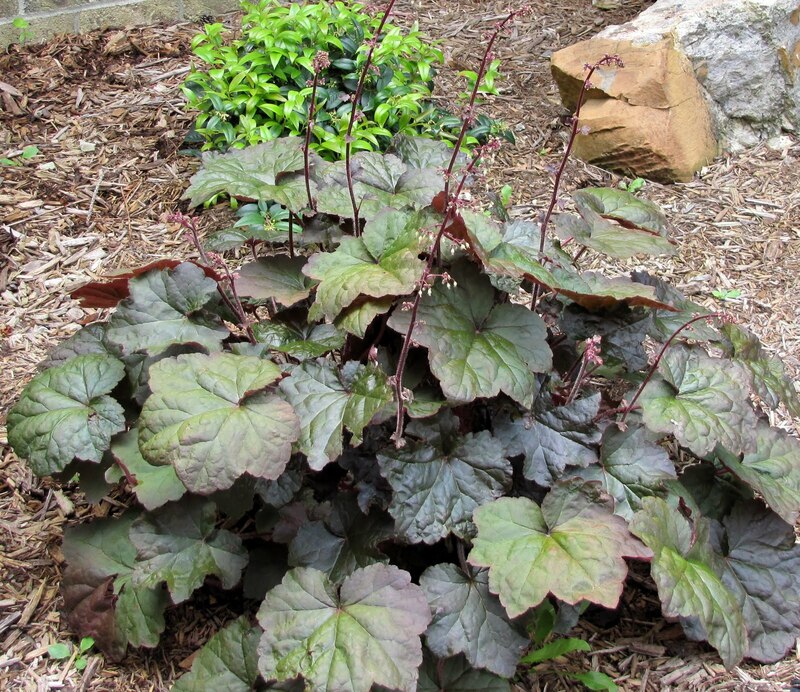 It strangely has both blue and pink blooms on the same plant. 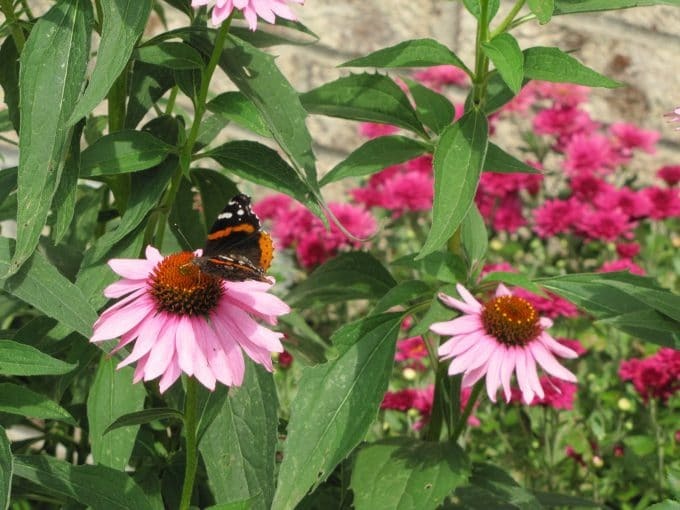 Since it is supposed to bloom pink in alkaline soil and blue in acidic soil, I’m not sure what that says about my garden. 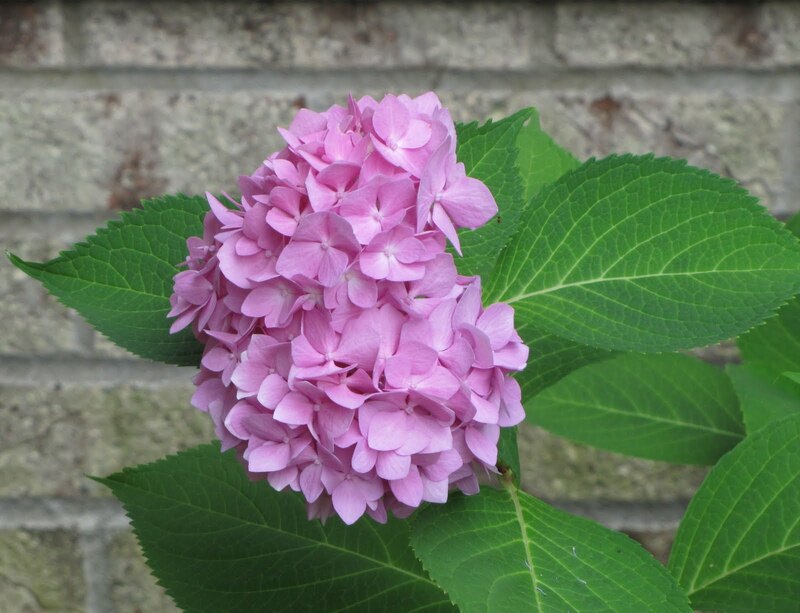 Does anyone else have this phenomenon with their Hydrangea? 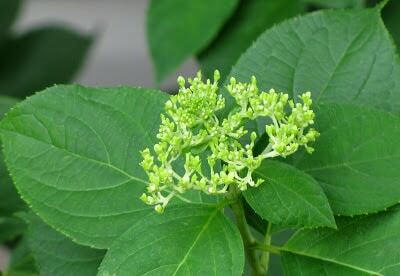 I just love the color of my Limelight Hydrangea’s blooms (Hydrangea Paniculata Limelight). It’s not in full bloom yet, but just getting started. 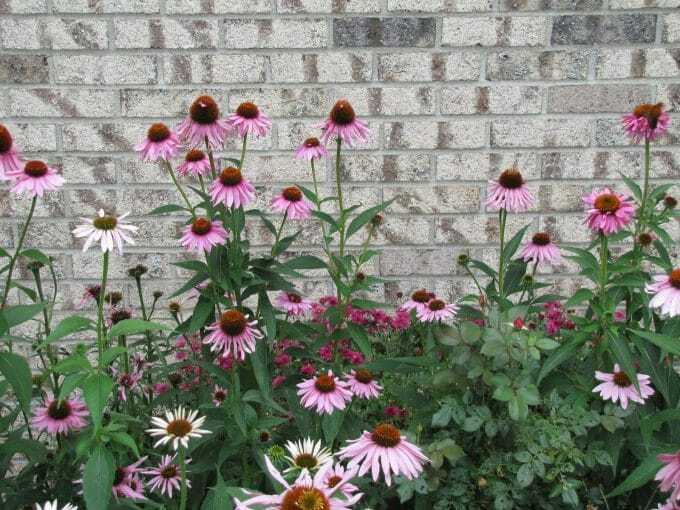 Like the name implies it has lime green flowers (as opposed to certain Coneflowers that don’t live up to their name). 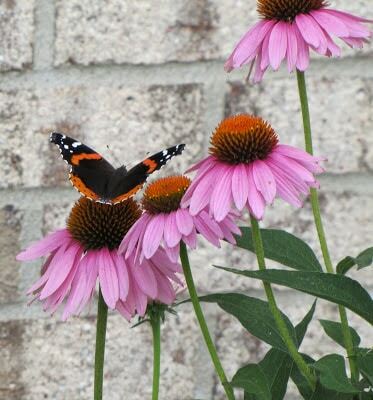 Oh I love your coneflowers… and that butterfly! Beautiful pictures. Wonder photography of your flowers and those butterfly pictures are splendid. Your photos look like they should be framed and hung on the wall, gorgeous! Hi! 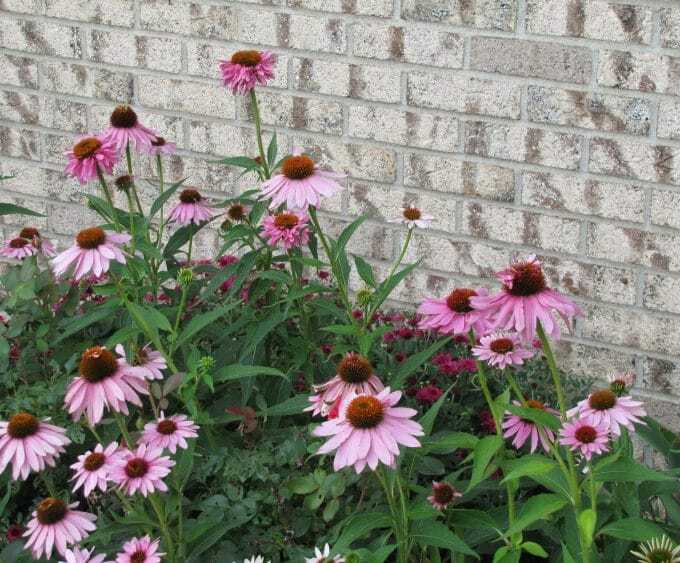 Thanks for stopping by my blog; I just had to come by and see your coneflowers…mine are like that too; the first year, there was no “second deck”, this year I have a few that look like they are going to sprout some petals…we’ll see!! 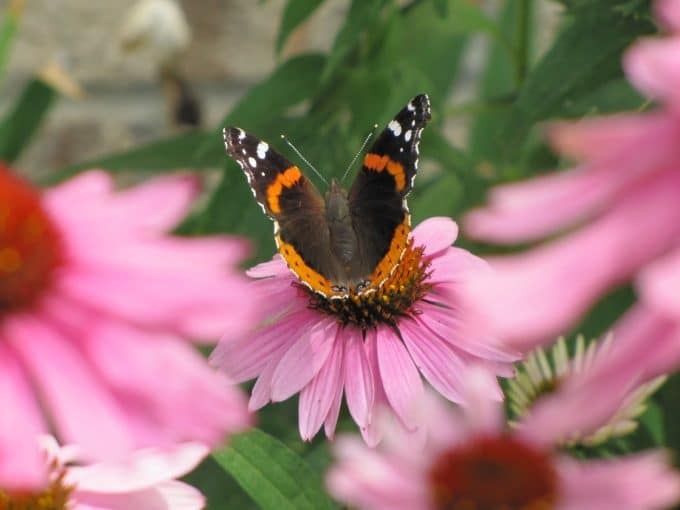 Great pictures of the butterfly, too! The lime green hydrangeas sound gorgeous! Can’t wait to see the blooms! And thanks for the link to the Weds outdoor party. I hope to join in next week. What gorgeous photos! 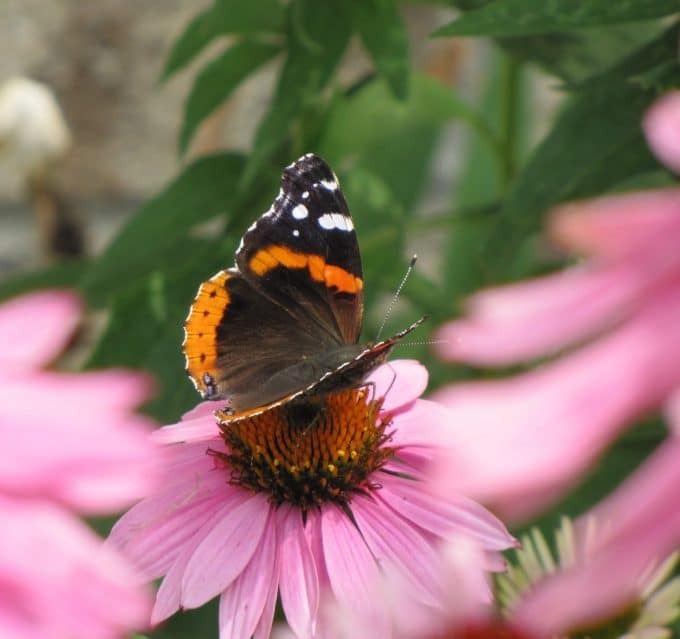 I love your butterfly on that purple flower. So pretty! I got my eagle at a state park gift shop because my Father used to tell me bedtime stories of a patriotic eagle that would save the world with NASA’s help! LOL I remember those stories so well. He was awesome.